Hummingbirds typically leave South Carolina for the warmer regions in the winter. They start coming back when it becomes warmer, so put your hummingbird feeders outside again. Hummingbirds fly back to South Carolina in March. According to Columbia Audubon Society, neotropical migrant songbirds usually begin arriving in South Carolina around the 15th of March. 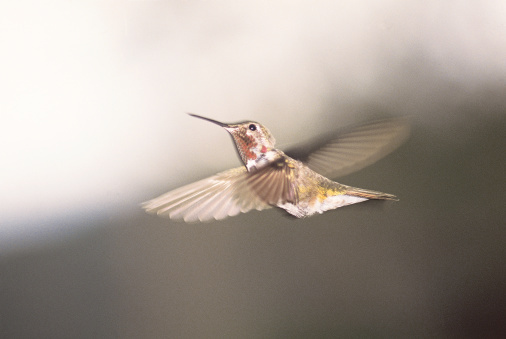 Put hummingbird feeders outside by March 20 to welcome the birds as they arrive. Clean the hummingbird feeders before putting them outside. Mix one tablespoon white vinegar and one cup water. Use the solution to rinse the hummingbird feeders thoroughly. Columbia Audubon Society recommends filling the hummingbird feeders with a mixture of one part sugar and three parts water. Re-fill the feeders every week.